Khokhan is a town in Himachal Pradesh state, India. 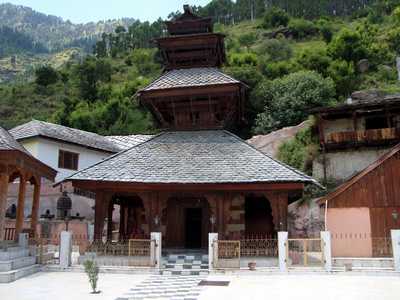 The hamlet is known for the Adi Brahma temple, a large wooden structure housing three temples. 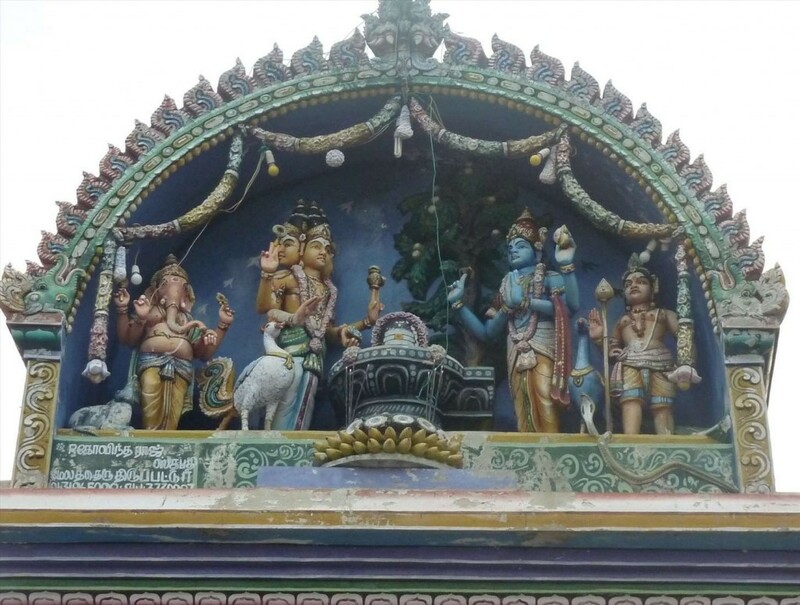 The temple of Adi Brahmaji is at the center of the complex, and two smaller temples are located on either side. 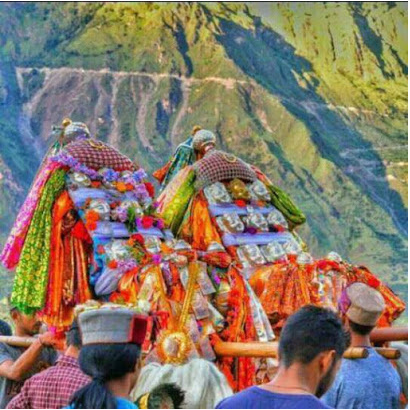 The temple in which the idol of Gadh Jogini is installed on the left side, and the temple of Manikaran Jogini on the right.There is also another temple for Adi Brahmaji built in wood and stone is located at Tihri, in Mandi district of the same state. 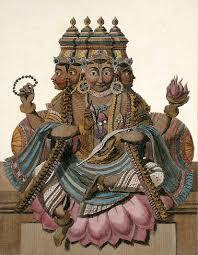 In Hindu Pantheon, there are a large number of temples devoted to Vishnu and Shiva but very few to Brahma. 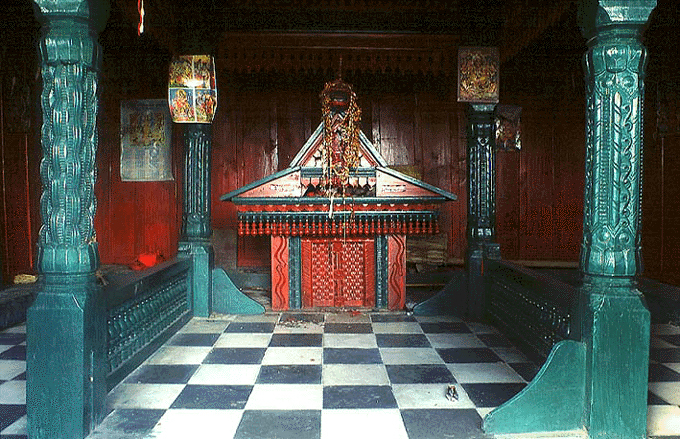 Hence the Adi-Brahma temple built in wood and stone at Khokhan is of great importance. 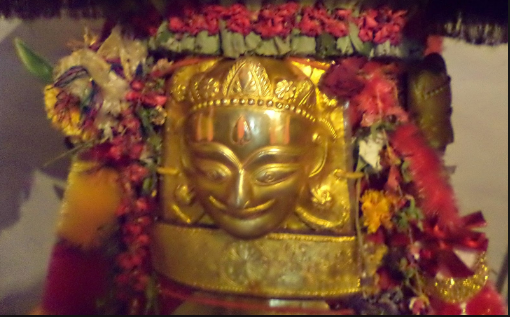 In Himachal Pradesh, another Adi-Brahma temple is at Tihri (Uttarsal) in Mandi district. A number of festivals are celebrated at the Adi Brahma temple. These include Naagni Birshu, Mohal festival, Rohlgi Kafu, Bhulang Birshu, Shrihagiinauli festival, Kokhan Festival, Rohlgi festival etc. The Khokhan festival is the most important festival of all and it is celebrated as the day of revelation.